The whole team at the Mercure Rennes Centre Gare wishes you a warm welcome. Just a stone's throw from the old town center and easily accessible from the train station, this hotel is ideal for business and leisure stays alike. See you soon! 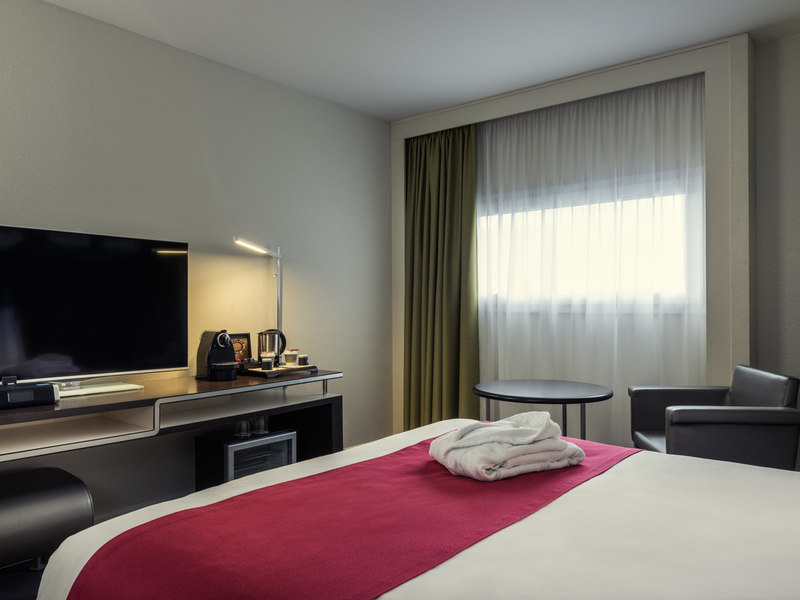 A 5-min walk from the train station and opposite Le Liberté performance hall, the 4-star Mercure Rennes Centre Gare Hotel in the city center has 142 rooms and 5920 sq. ft. (550 m²) of meeting space. The hotel is located on the outskirts of the old town, between shops, cinemas and the train station. Enjoy the charm of Brittany's capital for family getaways, business trips and seminars for up to 250 people. Large public car park under the hotel. Situated in the very heart of Brittany, this Mercure hotel is close to the mythical forest of Brocéliande, for a trip to the heart of the countryside. Discover this land of legends just on our doorstep, and pay a visit to Saint Malo, the pirate city. We offer a variety of room categories to suit your needs: the Standard Room, Privilege Room, or Suite, with an extensive range of services.